As the seasons shift, we're heading into a cozier time of year here in Amsterdam. The cooler temperatures (and drizzly rain) make it a real challenge to get necessary sunshine and fresh air that I crave. 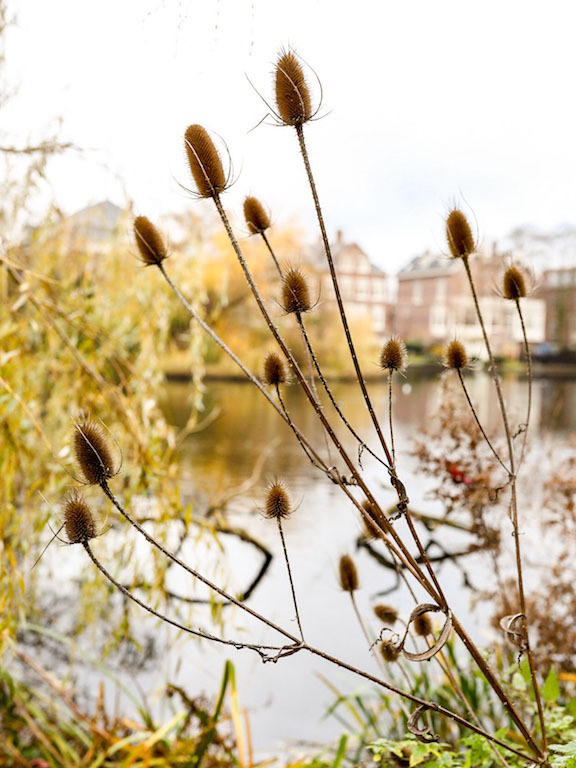 Although we're constantly chasing the sunshine here in Amsterdam, autumn definitely feels like a frantic, last-minute dash to get outside and enjoy a bit of nature before the heavy winter settles in. Looking back at the golden rays and plush leaves in these photos, I don't even want to think about winter coming, yikes! As a freelance creative, I often spend a lot of time creating content for other people and while I'm fortunate to be busy, it's easy for me to get lost in the hustle and flow of work, work work. So, I've been attempting to make little adventures for myself to try different activities like, apple picking. 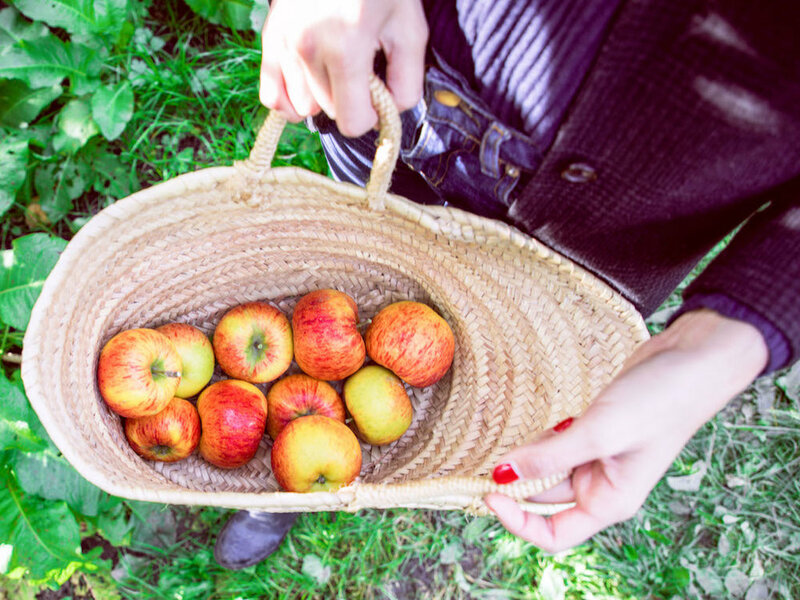 In this case, our apple picking afternoon inspired us to invite a few friends to cook up a big autumn dinner! It was a delicious meal that perfectly fit the coziness of this new season. You can read more about creative challenges here in my article for the Creative Women Collective. Curious for more? Visit this post on Instagram. It's common knowledge that we have plenty of rain here in Amsterdam. Those gray clouds are often a bummer but something really special happens when all that rainy drizzle mixes together with bright, golden sunshine... Wildflowers begin to pop up all around the city! I can't get enough of the Amsterdam's summer flower collection. 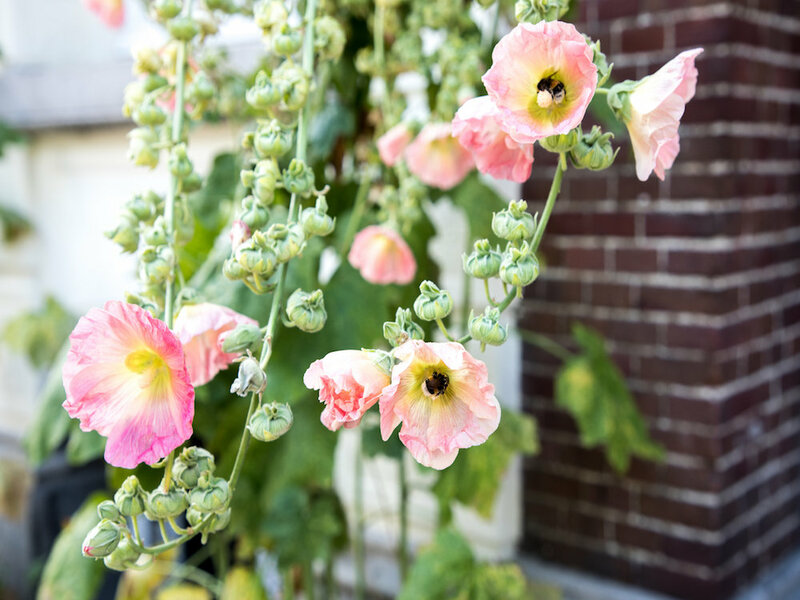 Especially my favorite, the hollyhocks. Bright pops of pink, maroon, purple, white, magenta, yellow and crimson burst along the street-side. Known as stockrozen in Dutch, this tall, colorful, perennial flower is a particular favorite of mine. Luckily, they're abundant around Amsterdam and I can't cycle more than five minutes through the city without spotting a rainbow of these stately flowers. They're tall, like me and a some can reach over seven feet in length! I've also noticed a few that have toppled over to one side after growing too tall for their own good. 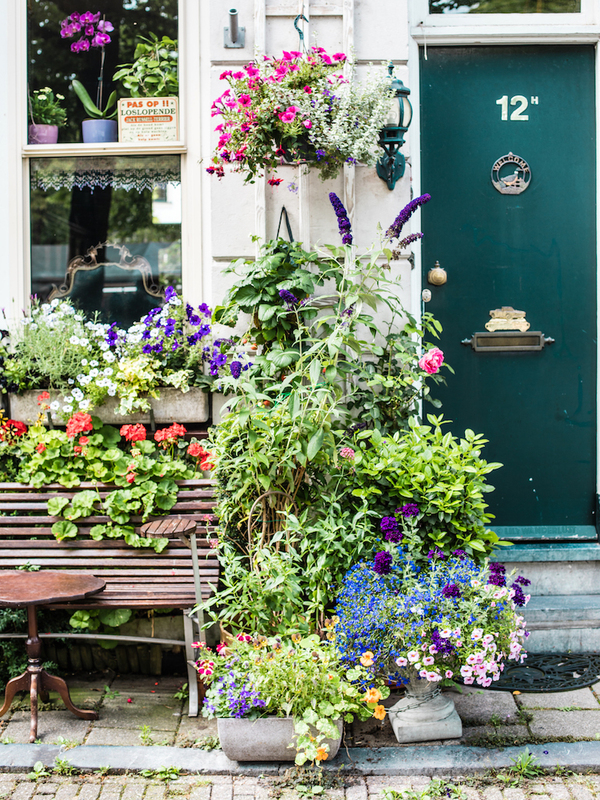 I spent the majority of the summer traveling and during my time in Amsterdam, I've been snapping away at the brilliant blooms and giant stalks. I even made a point to take the scenic route along Vondelkerkstraat because the entire street is lined with tall, colorful stockrozen. 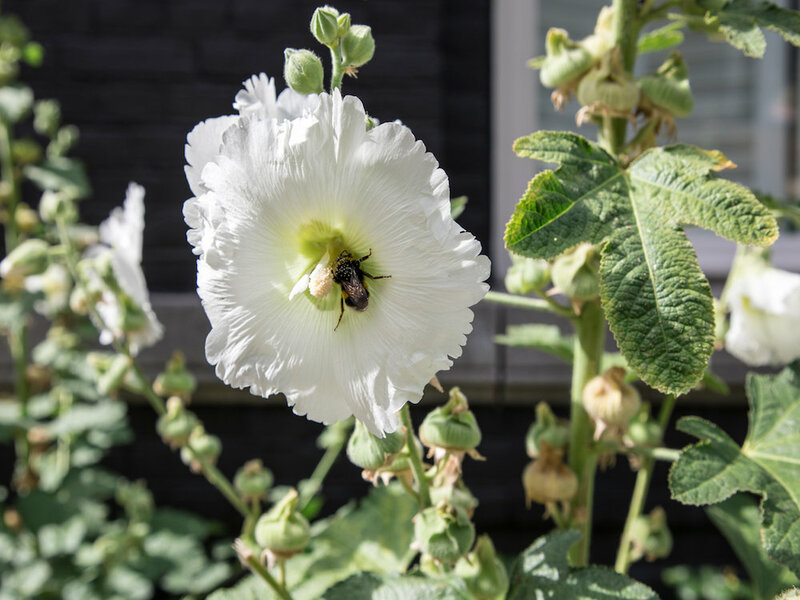 Hollyhocks are a staple of the Amsterdam summer sidewalk garden scene, casting happy vibes all over the city. Fat fuzzy, bumble bees are naturally drawn to all the blooms. Upon closer inspection, you’ll often find bees devouring the pollen inside as they're preparing to next seasons blooms!